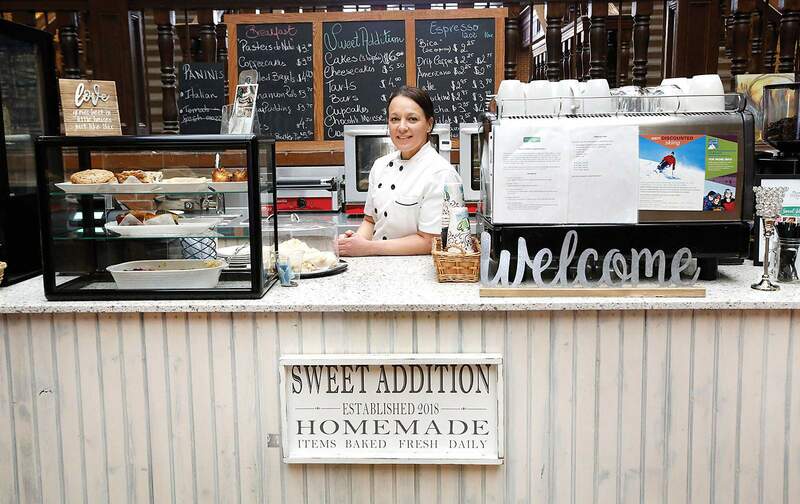 Francilia Pena Ehrig, owner of Sweet Addition, does all of her cooking at her kiosk in the Main Mall in downtown Durango. She says the scent of her creations draws customers to her business. The Main Mall in downtown Durango smells like a fresh-baked cinnamon bun. No, it’s not the obligatory mall Cinnabon. It’s Sweet Addition. The one-woman bakery and café found a suitable open-air place where tourists used to toss penny wishes into the center fountain. 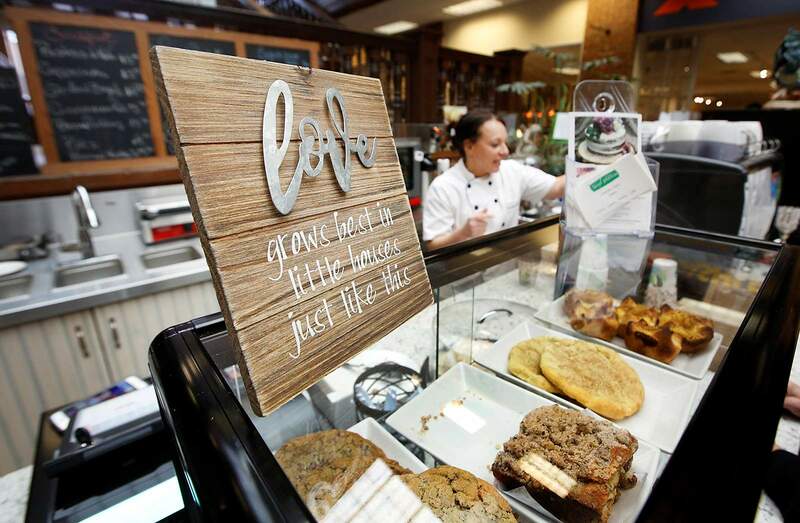 The existing water hookups allowed owner Francilia Pena Ehrig to set up a small operation complete with two ovens, a panini press, a small sink and refrigerator, as well as a few display cases filled with her rotating creations, which rotate out quickly. On a recent Friday just before noon, Ehrig sold out of her paninis, cinnamon rolls, two of her four varieties of coffee cake and her specialty, pastel de nata, a classic Portuguese custard tart that most Durangoans will have a difficult time pronouncing. 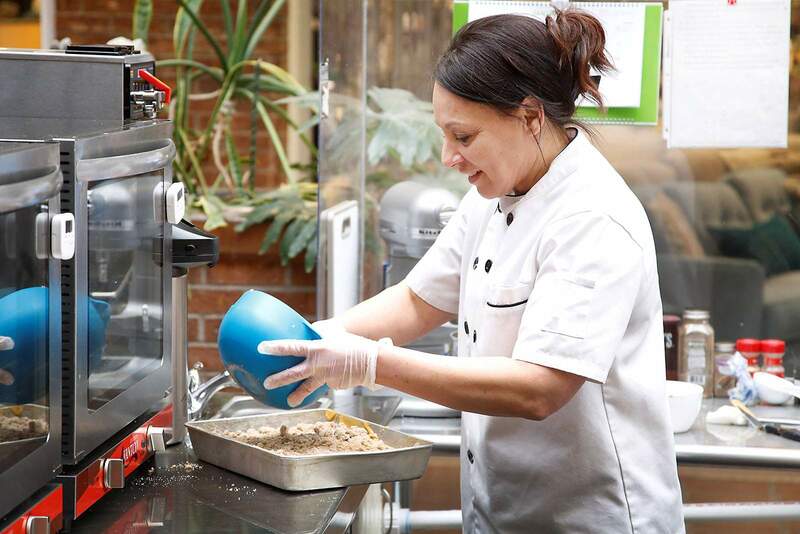 In addition to the café, Ehrig launched a catering company and bakes custom cakes for weddings and events. Ehrig was born in Brazil, but is Portuguese and lived in Portugal at various stints, including when she studied psychology in Lisbon. Francilia Pena Ehrig was born in Brazil, but is Portuguese and lived in Portugal at various times in her life. She also owned her own seafood restaurant, Rampa das Merces, in Merces, near Sinatra, Portugal, when she was 25 years old. But her introduction to the food world occurred well before that: Her father was in the restaurant/bar business. Some family members say she has her great-grandmother’s talents. Ehrig’s father used to tell her stories of what an amazing cook her great-grandmother was. She was poor, but her personal garden and four sons, who were hunters and fisherman, ensured there was always food around. She cooked on an open fire because she never owned a stove. Ehrig, however, credits three people, not genetic gifts, for inspiring her solo business today. The first is her aunt, who is also her godmother, best friend and namesake, Francilia Baptista, as the one who taught her the foundations of cooking and baking. Ehrig said she would stand on a stool when she was 7 years old and her aunt would direct her to chop, wash and measure. “I remember her telling me you can be more creative when it comes to cooking, but baking is a formula – you have to measure things,” she said. Ehrig’s aunt’s lasagna with homemade marinara is the same recipe Ehrig uses today – except today she has to make it with different noodles. 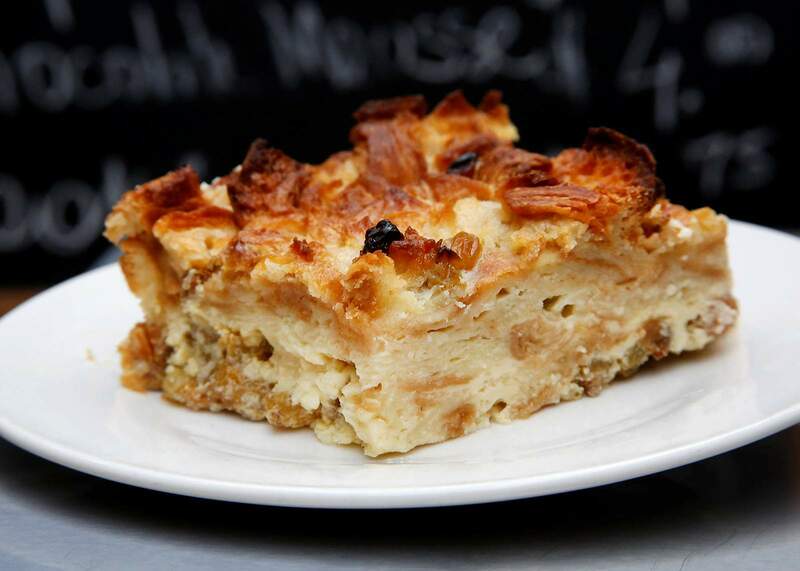 Bread pudding made by Francilia Pena Ehrig at Sweet Addition. In a cruel twist of fate, Ehrig was diagnosed with Celiac disease, an immune reaction to eating gluten, a protein commonly found in wheat, in 2011. The gluten-filled cookies and baked goods Ehrig sells but no longer eats are old recipes she’s made dozens of times. Sometimes her Celiac means she bakes without sampling the food, including the pumpkin bread she created around Thanksgiving. And she has even stricter guidelines at home, where she keeps her two boys who are on the Autism spectrum on a dairy-free diet. “Girl, if I didn’t have Celiac disease, I would never be paleo, OK. No, I would not,” she said. Back in her gluten-eating days and before she owned her first restaurant, Ehrig traveled to Europe when she was 21 and learned German and Italian. She was working as a server in Hotel Bellavista, a small operation in the resort town of Zermatt, Switzerland. It was there she found her second mentor, Franz Götzenberger, the owner and chef of the hotel. “He would always, always – even if I wasn’t even on the clock – teach me stuff. He was awesome to me,” she said. Götzenberger also helped her learn to sell, even if he didn’t get her name right. Francilia Pena Ehrig assists a customer on Thursday at her kiosk in the Main Mall. Today, she utilizes all her senses to hawk pastries and paninis, and cinnamon is a sharp, effective tool. She said utilizing people’s noses was intentionally part of her business model. Thanks to the open counter at her kitchen, the three-story building of the mall fills with the scent of the alluring spice. Customers find themselves at her counter, giving her money, without knowing how they got there. Kowalski quickly realized Ehrig’s capabilities and promoted her to manager within two months. (Ehrig picked up a fifth language, Spanish, in order to communicate with some of the Mexican employees.) The pumpkin cake, molasses cookies and snickerdoodles are some of Kowalski’s creations that Ehrig still sells today, which is why Ehrig decided to continue the name. 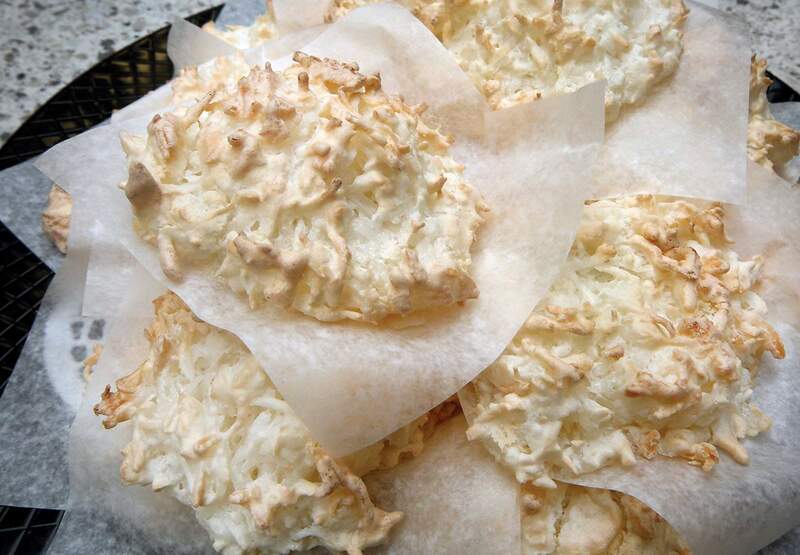 Macaroons made by Francilia Pena Ehrig, owner of Sweet Addition. Ehrig ended up staying in America because she married her now ex-husband. Family brought her to Durango, where she has been for the past seven years. She was working as a communications manager for an environmental company, and after having kids, she took a long break from cooking professionally. She said in the past she was afraid to open her own business. “I have a hard time giving myself compliments,” she said. But life circumstances finally pushed her to take the risk, armed with the foundational knowledge from her aunt, sales and expertise from Götzenberger, and further experience and recipes by Kowalski.